Report with Link Sample - A small link to mortgage payment information called Mortgage Info will be placed near the property picture in all Customer Reports*. The homebuyer can click on the link to view detailed RatePlug mortgage information. 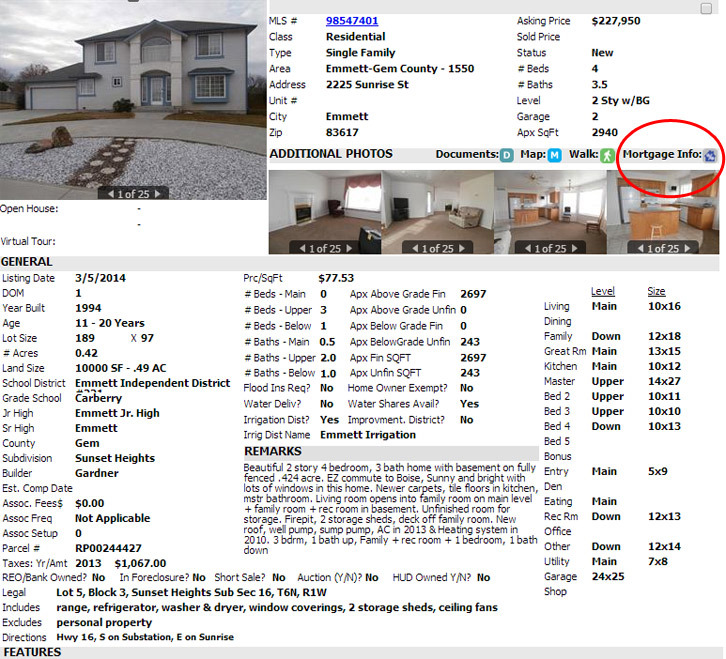 Click here to View a sample RatePlug and Property Flyer display for your listings. *MLS Client RatePlug' will continue to display the RatePlug detail display towards the bottom of the report.